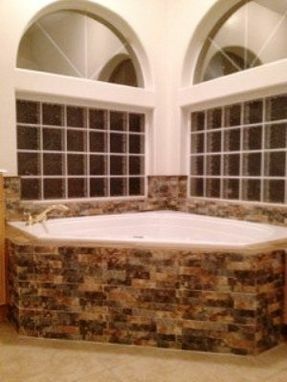 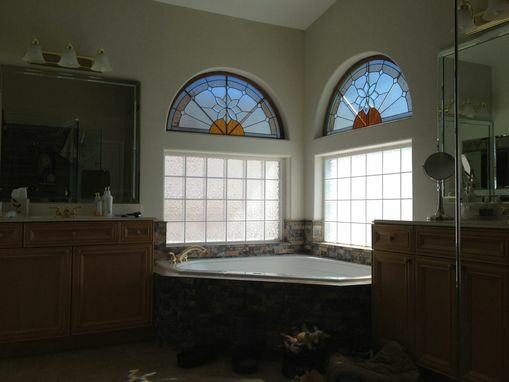 These absolutely gorgeous windows have made our customer's bathroom an even more elegant place! Size: 48" wide X 24" tall. 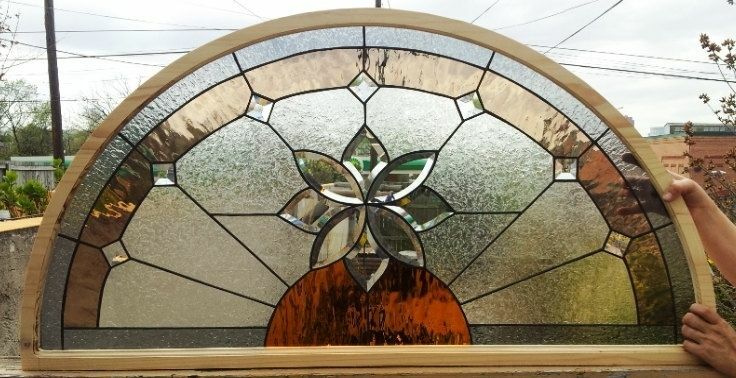 Glass: Bronze Waterglass for inner border, Grey textured glass for outer border, glue chip glass for the background, bevels for center piece and diamonds and, finally, medium amber waterglass for half circle at the bottom. 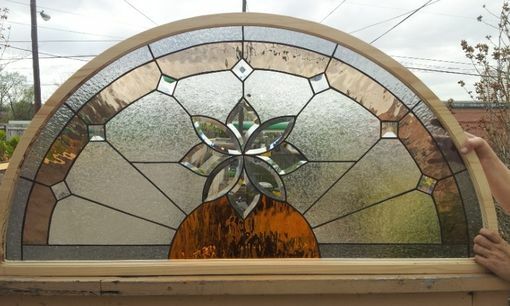 These pieces were created to disguise mullions in existing windows and you can see the big difference they have made in our customer's home just comparing Before and After photos. 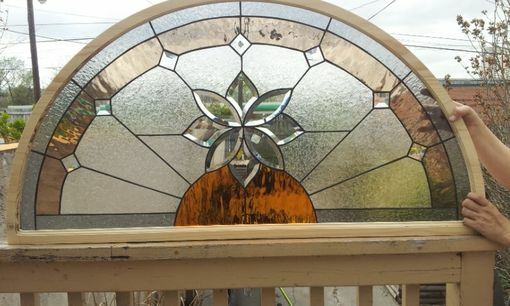 -Price Listed is for 1 window.